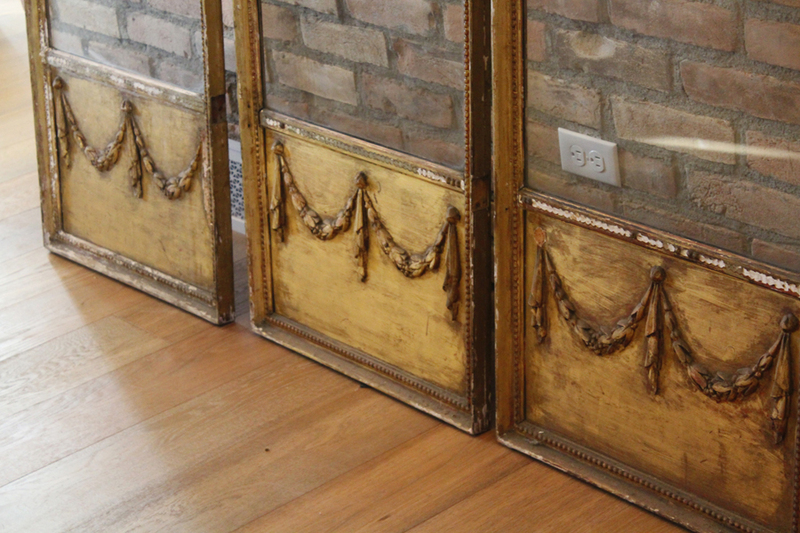 This antique screen is incredible! 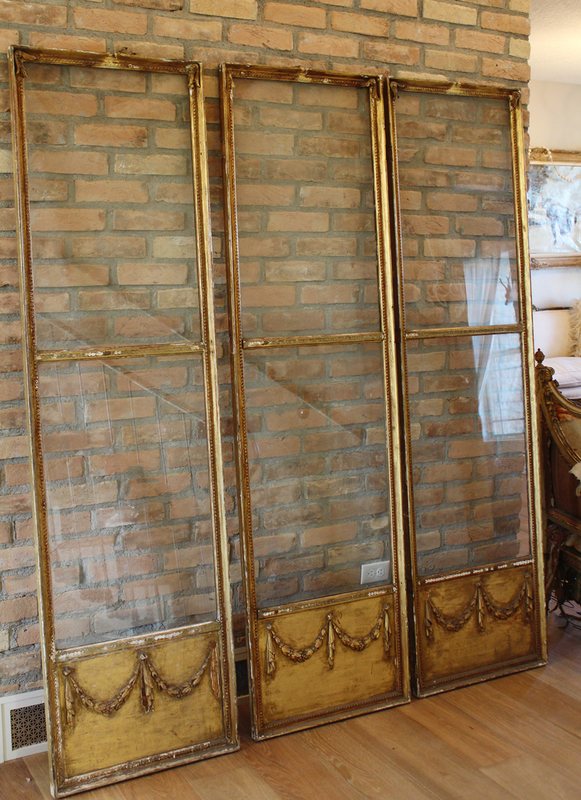 It hinges together however we undid the hinges for photos and to ship. It dates back to the early 1900s. The barbola swags at the top are missing. This never bothered me but needed to be mentioned. The glass is all original and it is that thick wavy glass we all love. 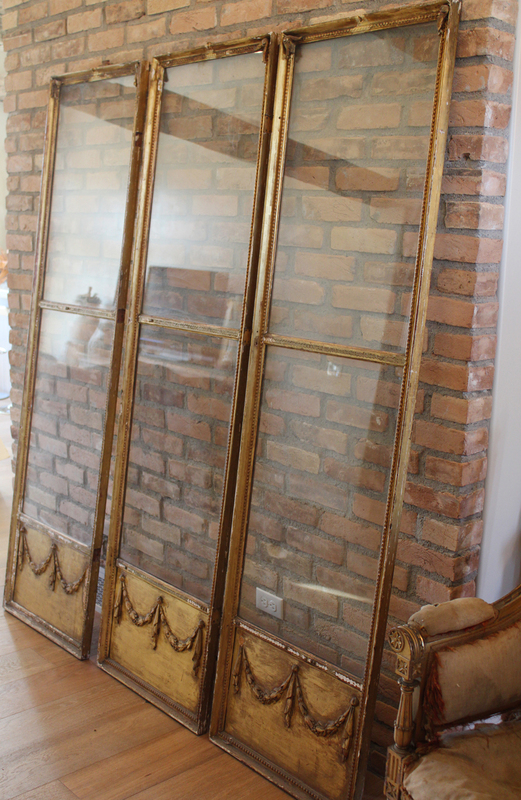 This would make a beautiful dressing screen, or used as doors or architectural elements in the interior of any home. A very rare find.